Beauty may not be only skin-deep. But the part of it that is, needs our constant care & attention. 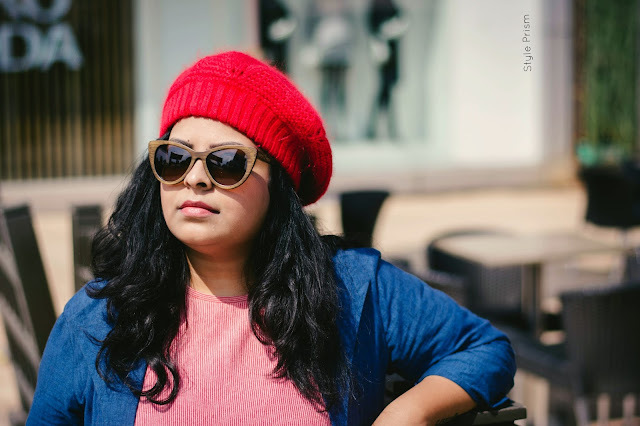 We all thrive on the high of looking good [albeit in the eyes of the beholder, but in our own eyes too] and the number of salons mushrooming all over the place thrive on this obsession of ours. But like all good things in Life, you have to find that perfect one that suits you and fulfils all your beauty needs. 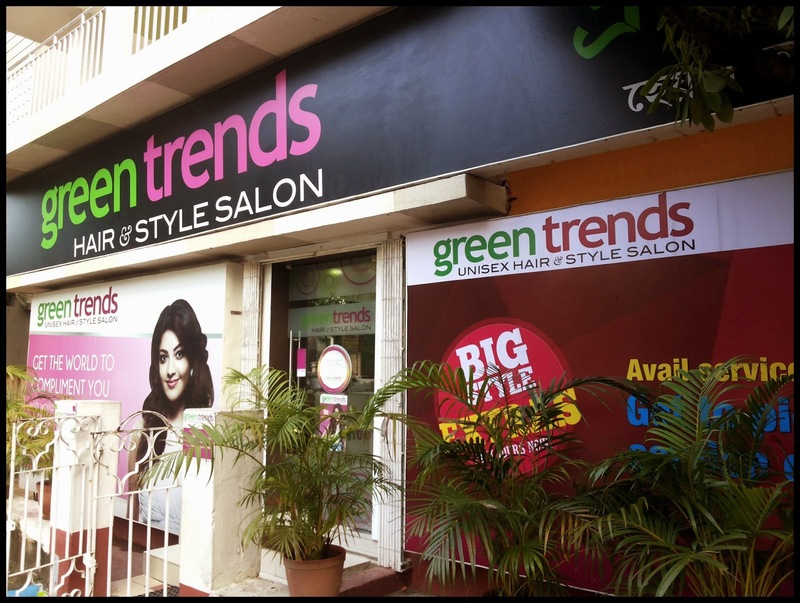 Green Trends has their chain of salons not only in Kolkata, but in numerous other cities throughout the country. 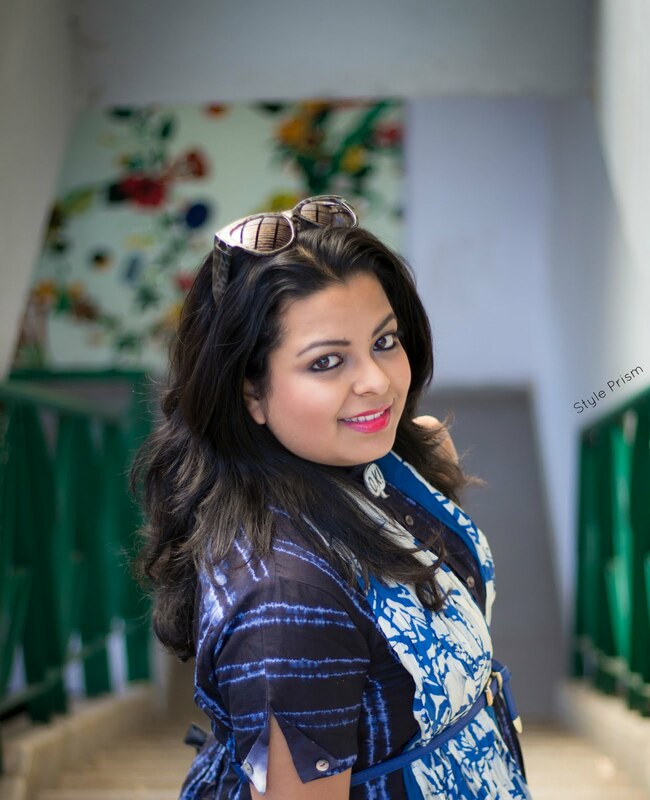 An initiative of the renowned CavinKare group, the chain started off with their first few salons in Chennai and slowly made their presence felt across all major cities of India. Apart from being one of the most popular Family Salons around, they also took to hand, the task of training young men & women to become professional beauty experts and hairdressers by starting the Trends Academy. 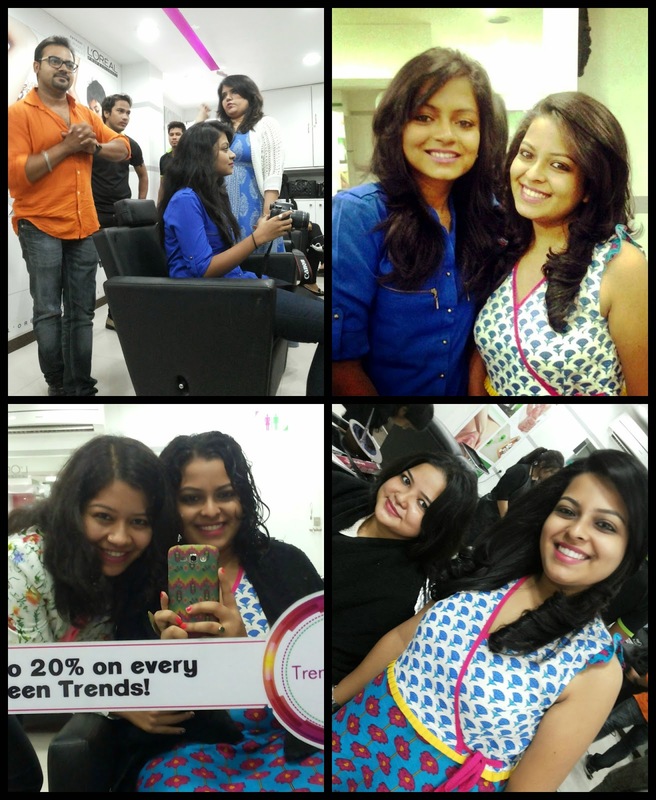 The cordial team at Green Trends had invited us over for a tête-a-tête with their Brand Trainer, Mr. Saddique Alam, about the latest trends in hairstyle and beauty. I, of course, had to ask him about ways to control frizzy hair like mine, on which he advised me to try their Frizz-Control Alchemy Treatment. I obliged, and after about an hour of washing, caring, steaming and blow-drying; I was left quite speechless with the result! 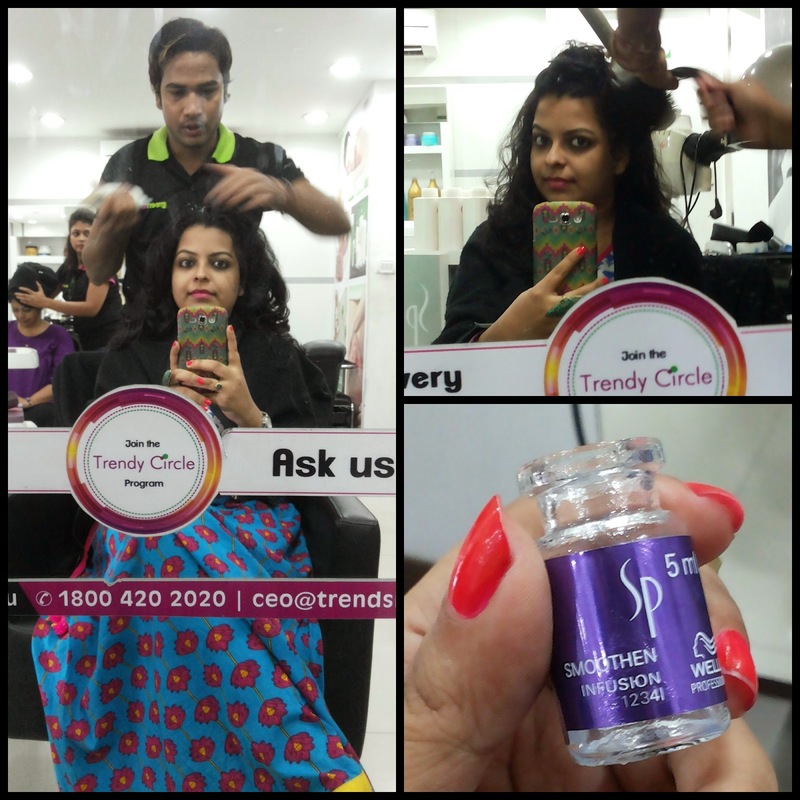 The hairdresser who took me under his wings, used mostly Wella SP and L'Oreal products for the treatment. The Wella SP Smoothen Infusion is the main ingredient which helps control the frizz and the L'Oreal Total Repair serum holds the smoothness in place. Anyway, happy with my temporarily Page 3 celebrity-ish hair, I opted to end the day on a fragrant note by going for the Aromatherapy Pedicure. The girl was sweet and surely knew how to pamper my feet! Special aromatherapy gels, scrubs and moisturisers with essential oils made my feet soft and supple like a baby's and a fresh & quirky coat of metallic black nail paint just upped my happiness index! You can see for yourself how relaxed and happy me and Debiparna looked as we enjoyed our pedi session! We looked around, we chatted, we preened and pouted, we clicked, we laughed, we learned and we had lots of fun! 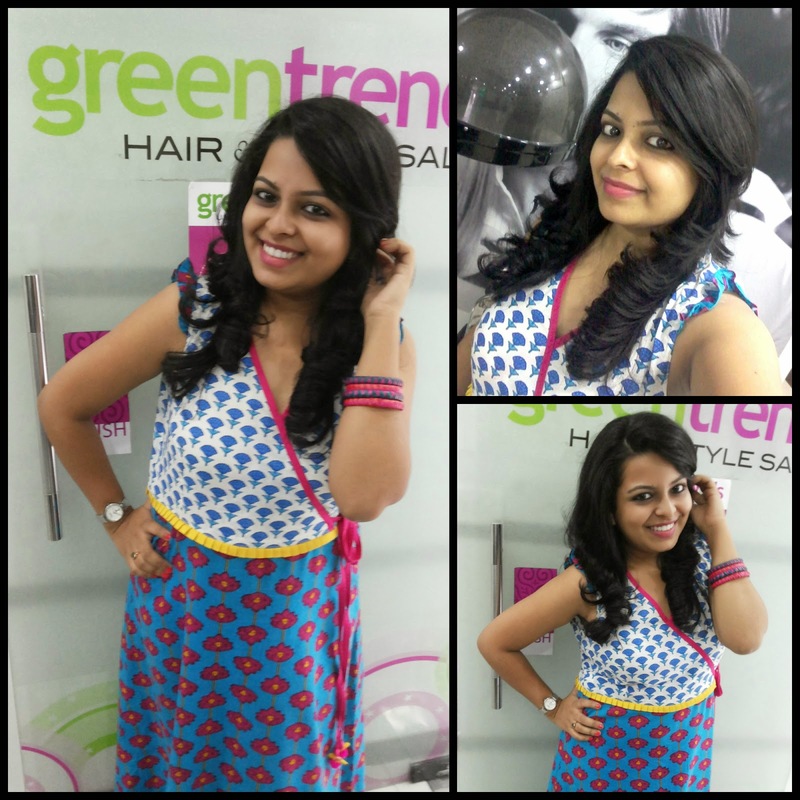 I'll be heading to the nearest Green Trends Salon (there are 3 branches in Kolkata) soon in order to spruce up before the upcoming festive season! I have quite a few of their services in mind which I want to try out. After all, we have to look our best during the biggest festival of the year, don't we? All for the love of beauty, of course! Have a blissful Sunday y'all! i love how they've transformed your hair. lovely! I love how ur hair looks.